All Motorcycles and scooters come with a full Parts and Labour Warranty from 12 months to 5 years depending on make and model. Full warranty term will be shown alongside the specific model. 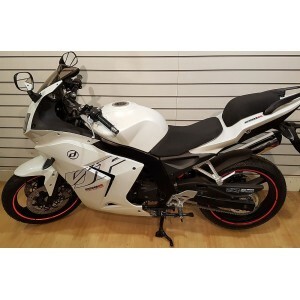 We have put together a range of makes and models that offer a competitive price and a comprehensive warranty package to give the rider peace of mind motoring knowing that any problems due to manufacturing faults are rectified free of charge within the terms of the warranty. Looking for Finance? WE OFFER IT IN STORE! Brand New Pre Registered 2017 Daelim VJF250 Roadsport with Number Plates ready to ride away £2699.. 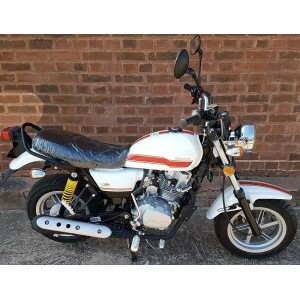 Brand New 2018 Hartford HD-125K with Number Plates ready to ride away £2699 + OTR Fo..
honda cb600f 2007 - £2999 Honda cb600f silver 2007 four stroke four service history onl..
honda sh 300 auto 2008 - £1999 Honda sh 300 scooter 2008 one owner auto in gr..